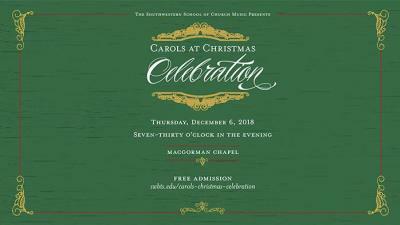 A free celebration at the MacGorman Chapel and Performing Center, Carols at Christmas Celebration is the perfect way to kick off the holiday season. 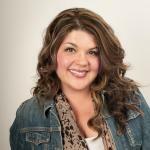 Concert begins at 7:30 p.m. on Dec. 6. More details here. Enjoy the classic holiday film "The Polar Express" at the Fort Worth Museum of Science and History&apos;s holiday Pajama Party. Kiddos will enjoy hot chocolate and wintry hands-on activities as well as getting to experience the movie on OMNI IMAX®. Get the details. Catch the time-honored holiday classic, "The Nutcracker," performed by Texas Ballet Theater at Bass Performance Hall. The music of Tchaikovsky serenades the crowd as Clara heads off to dreamland and has heroic battles. Check for special performance times that have included children’s activities, story times and special surprises. Get the details. Take the kids to spend the day with Santa while he’s visiting the Fort Worth Botanic Garden on Saturday, Dec. 15, from 1-3 p.m. They will enjoy crafts, holiday treats, story time and a holiday sing-a-long with Lena Pope Chapel Hill Academy’s Choir. And the best part? Each child will take home a picture with Santa. Reservations are required ahead of time. Get the details. Crockett Row’s family-friendly holiday celebration, Starlight Symphony, is back to every night in December. Set to the beat of favorite holiday tunes, Crockett Row is transformed into a twinkling wonderland with a five-minute music and lights show nightly. More information here. Family in town? It’s time to switch modes from shopping to entertaining. Take them to the largest outdoor skating rink in Fort Worth. Panther Island Ice is a perfect place to spend the afternoon while the cousins get all of their energy out. The rink is open on Christmas Day and NYE, too! Get the details. Do something different with your evening and spend it at the Fort Worth Nature Center and Refuge on Saturday, Dec. 22, for their Full Moon Paddle. Join the Nature Center staff for a peaceful paddle learning about the history of the Nature Center. Be sure to register ahead of time. Get the details. Take your visiting family out for a real ol’ fashioned Fort Worth experience at Pawnee Bill’s Wild West Show. Expect: a family-friendly, one-hour performance featuring trick roping, trick shooting, trick riding, cowboy songs and an entertaining look at history. There are two shows on Saturday, Dec. 29. Get the details.